The Lithe Audio Bluetooth Outdoor Garden Rock Speaker brings incredible audio outdoors with all the ease of installation Lithe Audio is known for. You'll be astounded at both the speed of installation and the high quality audio playback this perfect garden audio solution brings. With the latest Bluetooth technology that can pair and play with your smartphone, tablet or computer - you can stream your favourite songs with just a touch of a button and no connecting wires needed! If you're looking for audio in your garden - no matter what time of year - and you're looking for speed of install, then this is the product for you. With just one power cable to connect - suitable for running outdoors - do as Lithe Audio say: Place It. Plug It. Rock It! Have a relatively large garden space? Then why not make more audio for yourself! 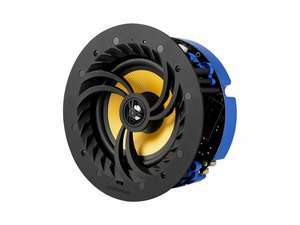 Works alongside a second passive speaker using one simple connecting cable to the mains-powered rock speaker to deliver the same great audio output and really get the party started! 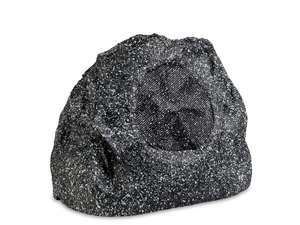 It doesn't need to just be for party environments either - with Bluetooth readily available in your garden thanks to the Lithe Audio Bluetooth Outdoor Garden Rock Speaker, you could relax to an audiobook, listen to sports commentaries, or even find a playlist of ambient sounds to create a peaceful environment in gardens situated in urban areas. These garden speakers are PIN protected too so no chance of neighbours connecting up and playing their own music choices either!